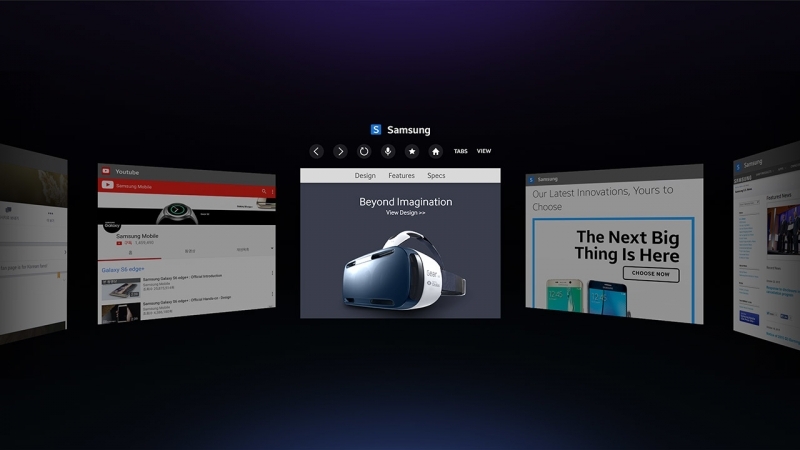 Samsung says the browser will allow Gear VR users to “intuitively browse” the internet while supporting 360-degree and 3D video streaming along with HTML5 videos. This means you’ll be able to watch ‘flat’ videos as well as taking advantage of YouTube's VR options. The browser uses voice recognition and an on-screen keyboard for text input, and Bookmarks can be imported and managed - but only if you use Samsung Internet for Android. One of the more interesting features of the browser is its ‘Gaze Mode,’ which will let you choose menus simply by looking at them. So if you’re the owner of a Gear VR and one of the Galaxy smartphones it uses - Galaxy S6, S6 edge/edge+, Note 4, or Note 5 – then head over to the Oculus Store to download the Samsung Internet for Gear VR beta.